When first seeking Chiropractic treatment it is important for the Chiropractic doctor to take X-rays of your spine. Some chiropractors do not have imaging equipment in their office, at Epic Chiropractic we have an X-ray machine in house so you don’t have to go to an imaging facility to do so. The X-ray comes free of charge with the initial consultation. An X-ray is a certain type of electromagnetic radiation that is able to capture through an image through the person’s skin. The picture shows different parts of your body in white or black. 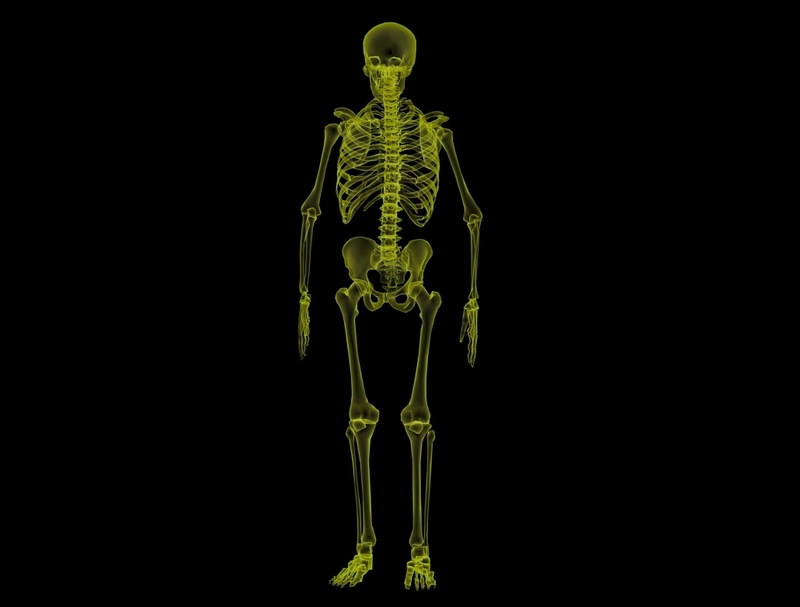 The bones turn white because the calcium in your bones absorbs the radiation the most. What Is the Procedure for Taking an X-Ray? Dr. Wilson will ask you to change into a gown that is provided by the Epic Chiropractic office. Then the patient will put on a lead apron to protect your body from some radiation. There is no need to worry about the effects of the radiation. The radiation you are exposed to is similar to you being naturally exposed from the environment for 10 days. The chiropractor will take X-rays of your standing sideways, backwards, and forwards. This will give the chiropractor different images in order for the doctor to evaluate your spine. While taking the images, the patient has to stand as still as possible for the image to be clear. What Happens After An X-ray is Taken? X-rays will be processed during your chiropractic visit, whether you’re at our Brandon clinic or the Big Bend clinic. After the X-rays are finished processing, Dr. Matt Wilson will take you into the consultation room and review the scans with you. 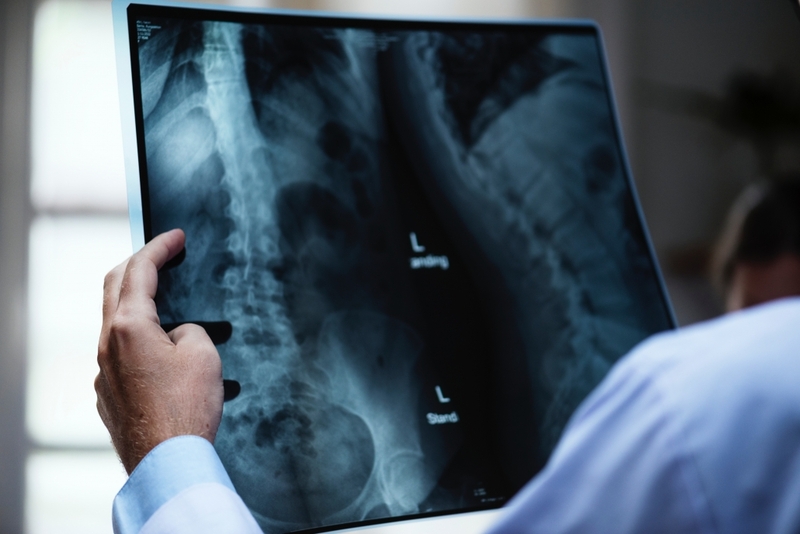 As a chiropractor specializing in auto injury cases, Dr. Wilson has extensive diagnostic experience and can accurately identify the problem areas in your spine. During this corrective care consultation, Dr. Wilson will tell you how he is going to treat your auto accident injuries and he’ll show you how to keep your spine healthy for the long run. Diagnostic imaging taken during your initial consultation is essential. Patients usually do not realize the issues they have in their spine and this gives them a better idea visually. After the consultation is finished, Dr.Wilson will develop a specialized treatment plan for you. No matter what injuries you have sustained from your car accident, it is highly recommended that you work with a skilled chiropractor like Dr. Wilson. After a few weeks of corrective chiropractic care, the patients may start to feel relief of their symptoms they might be experiencing. If the back pain or neck pain has subsided the chiropractic treatment is working and continued care is recommended. If the back pain or neck pain has reduced but the doctor needs better imaging quality Dr. Wilson may recommend you to go get an MRI. An MRI is a big magnet that uses radio waves to create detailed imaging of your body’s functions. It creates a very clear moving image of your body’s functions. The scan usually takes 20 to 60 minutes depending on the part of the body that is being examined. First the MRI facility may ask you to change into a gown and remove all metal objects. This is important because the MRI machine is a giant magnet. Once you are ready the technitation will have you lay down on the scanner table. Earbuds will be given to you in order to block the loud noises that the scanner makes. Staying still is important in order for the image quality to be clear. Why MRI Scans Are Important? MRI scans are valuable if you have been injured to pinpoint the section of where your injury is. If you have been involved in a car accident or even a sports injury it is valuable knowledge so Dr. Wilson can be able to evaluate correctly and write in his reports to send to a surgeon in case there is a need for surgical intervention. The MRI will show herniated discs clearly and if it is impinging on the spinal cord, or even if you have bone spurs that are causing your back pain. Questions About Your Spine Or Our Diagnostic Services? If you have any questions about our diagnostic imaging services, please feel free to call us at (813) 574-9206. Our staff will gladly answer any of your questions. We also invite you to come in for an initial consultation, so Dr. Wilson can help keep your spine healthy. If you have sustained injuries due to a car accident in Brandon, Dr. Wilson is a highly recommended chiropractor. Don’t wait until your auto accident injuries get worse, choose corrective care chiropractic to keep you spine healthy.